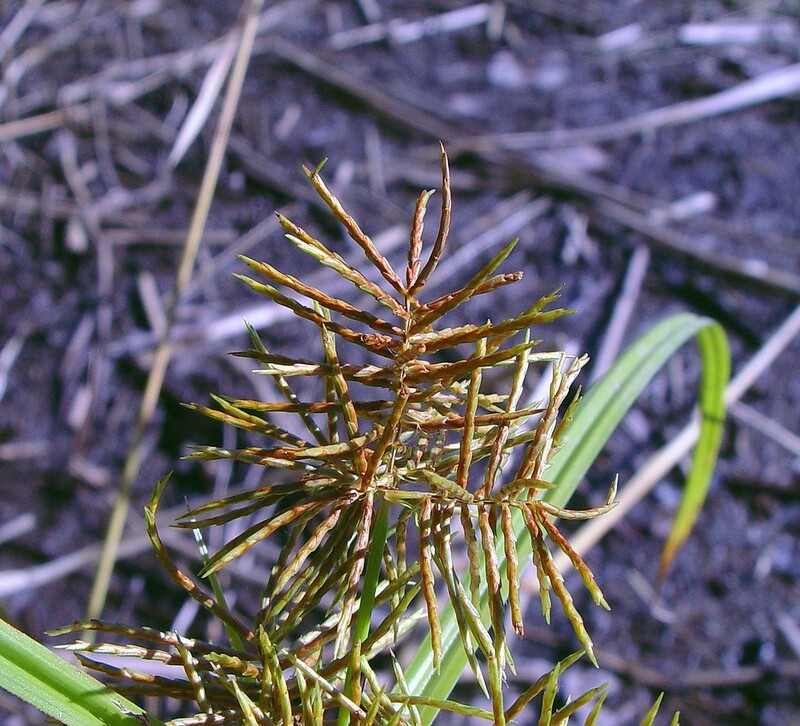 Rusty flatsedge is a very rare plant that is known from Connecticut, Massachusetts, New Hampshire, Rhode Island and Vermont, although in some of these states it may no longer be present. It inhabits shorelines, tidal marshes, and wet or muddy sites including meadows throughout the tropics and warm temperate regions of the world. 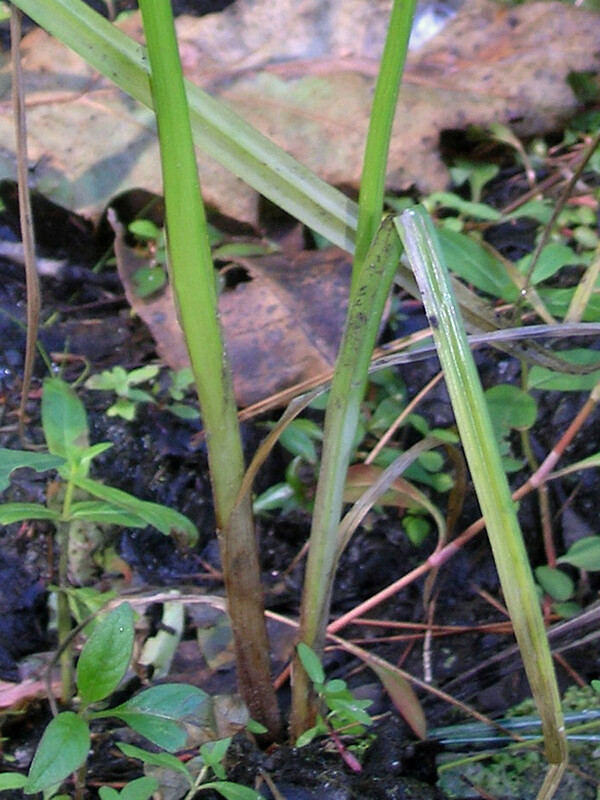 It also goes by the common name of "fragrant flatsedge." 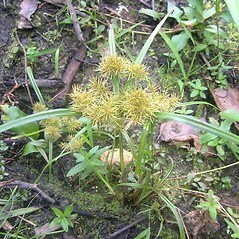 Yuman native americans have used the seeds for food. 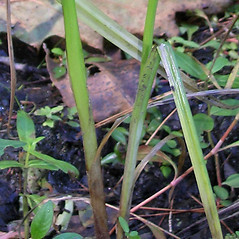 anthers 1-1.6 mm long and plants with long, slender rhizomes ending in tubers (vs. C. odoratus, with anthers 0.2-0.7 mm long and plants annual from slender roots). plants usually perennial, floral scales mostly 3.2-4.5 mm long, and achenes broad-linear to narrow-oblong (vs. C. odoratus, with plants annual, floral scales mostly 2-2.8 mm long, and achenes elliptic to narrow-obovate in outline). rusty flatsedge. 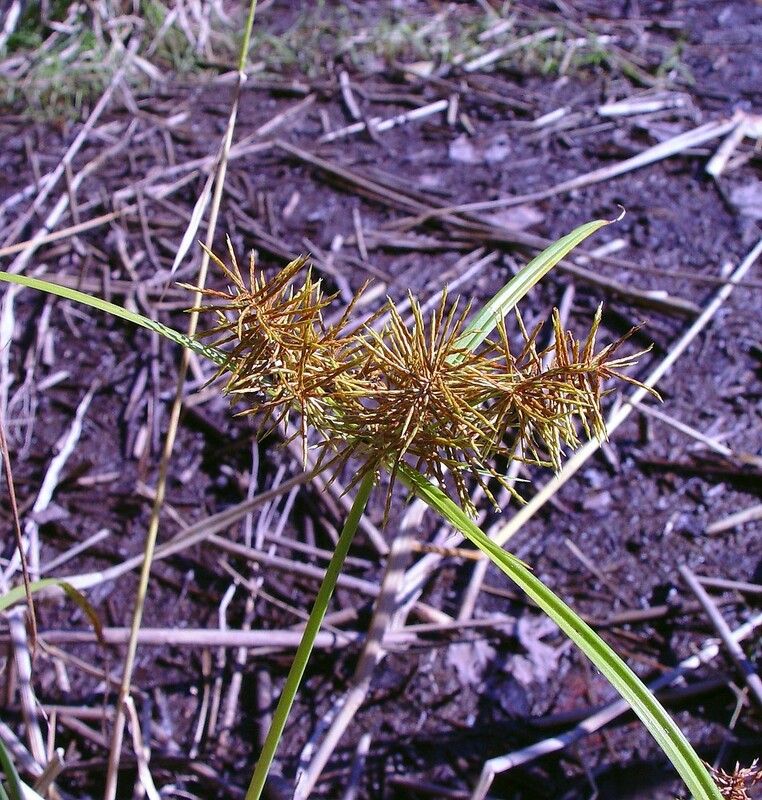 Cyperus engelmannii Steud. ; C. ferax L.C. 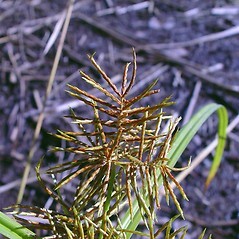 Rich; C. ferruginescens Boeckl. ; Torulinium odoratum (L.) S. Hooper • CT, MA, NH, RI, VT. Shorelines, tidal marshes, wet sand, muddy depressions, meadows. 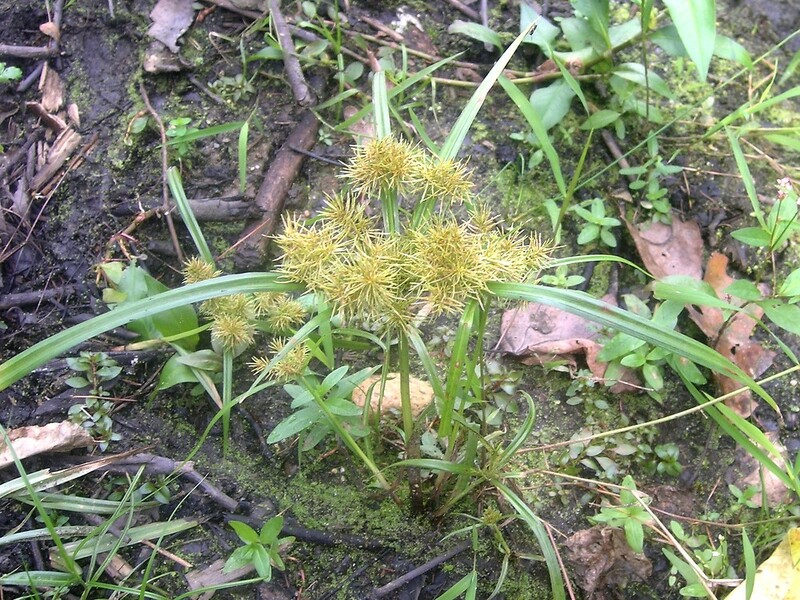 Immature specimens of Cyperus odoratus can be confused with first-year flowering forms of C. strigosus (the latter species is much more common in New England). 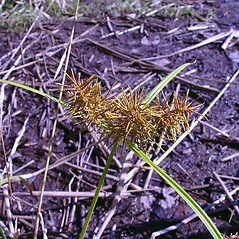 In addition to scale length, the red-brown spikelets of C. odoratus can be helpful to separate specimens of C. strigosus (which have yellow-brown to brown spikelets).